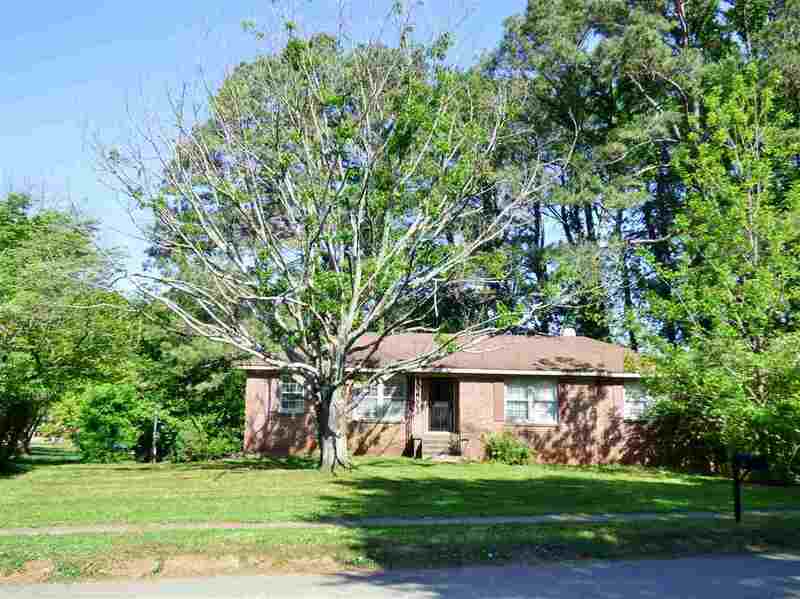 Fulll Brick Basement Rancher situated on large treed corner lot! This is a wonderful opportunity for home ownership or for an investor. What a great location! You can be to any part of the city or county within minutes. Sweat Equity and the Updates and Improvements you want....Enjoy making this your own. Welcoming Entry Foyer, Family Room, Eat-in kitchen with dining area and 3 bedrooms on main level. In the basement, you will find large rec. room, a den with a fireplace, and a room that could be used as a 4th bedroom with a 3/4 bath! This property is being sold "As-Is". Bring your imagination!